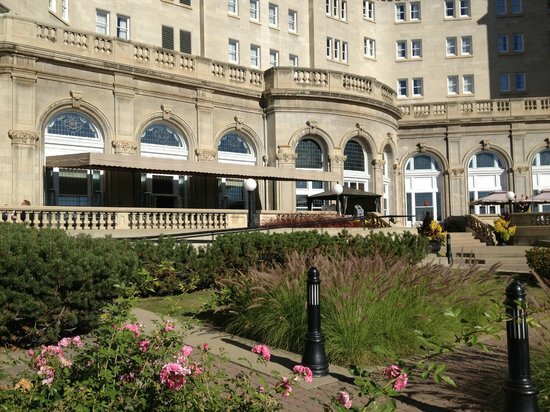 On August 24, 2014 we lucked out with a beautiful day at the Fairmont Hotel Macdonald Garden in downtown Edmonton. Thanks to the Mac and to everyone who came out to enjoy this underutilized downtown gem and to Visual Index Photography for the sweet photos! In addition to the spectacular river valley view and delicious culinary treats from the Mac. Folks played some classic garden games (bocce ball, lawn bowling, and croquet). Guests learned about the historical (and modern) curiosities of the hotel and enjoyed the warm sun on the terrace. The afternoon also featured local art from Lori Frank with delightful musical ambiance from Harpist Keri Lynn Zwicker. Winner @IPEdmonton walked home with a snazzy door prize of a collective art canvas from our attendees of the afternoon (materials discounted from the Paint Spot)! A lovely afternoon in the sun raising over $500 for Smudge and our furry friends at the Edmonton Humane Society. Heads up – Smudge is turning 7! Celebrate our friendly canine ambassador’s birthday in style on November 29, 2014. What next? Don’t Blink – you might just miss us! The weekend is here. We can’t believe the ImMACulate Garden Party is tomorrow! A few things you need to know and what to expect. WHAT: Blink: The ImMACulate Garden Party! We are hopeful for a sunny feels like 20 degrees tomorrow afternoon. But in case you are wondering, this event will happen rain or shine. An immaculate indoor contingency space (doesn’t roll of the tongue like a garden party) is secured in case of emergency. Tickets will be available on eventbrite until noon on Sunday, August 24. Please purchase your tickets in advance as there will be no tickets at the door (note: if you arrive at the door to donate $100 cash to the Edmonton Humane Society without a ticket – we will not turn you away from the party). Please note, you do will NOT need to print your tickets in advance. until 3pm for the 2014 Edmonton Marathon. Please plan accordingly. Sending a friendly garden wave and best of luck to our runners! Walking and Transit are readily available to the Mac. Valet and self parking are available on site for a fee. Adding to the ambience will be river valley paintings from visual artist mixed media Lori Frank in an exclusive one-afternoon exhibit in the gardens. Lori’s Edmonton River Valley Gallery was part of The Works Art and Design Festival with originals, canvas giclee prints and smaller digital prints. Be inspired by the view, Lori’s impressive work, and collaborate your creative side with other garden partiers on a collective canvas with pastels. We invite you to pick up a pastel and contribute! The supplies supported by the Paint Spot. The final canvas piece will be a unique momento as one of the fantastic door prizes. Pick up a scavenger hunt questionnaire on your way in and learn about the gardens. 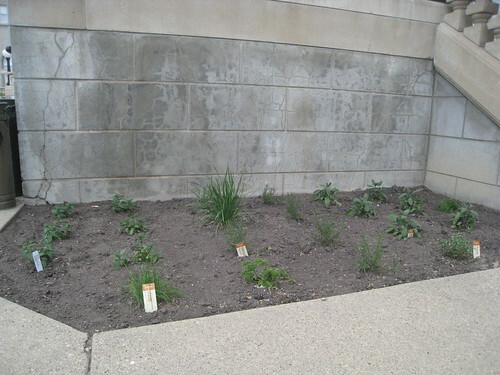 For example, did you know herbs growing in the gardens are used in your Fairmont culinary treats? Answer 8 or 10 questions and qualify for a door prize! Games on the Green will include Bocce ball, lawn bowling, and croquet. Rules will be available onsite. See our games post here. Dress weather appropriate and come in your garden best (we’re recommending pastels, linens, whites). See you Sunday! Edmonton’s river valley is our crowned jewel. Enjoy its splendors over a fashioned cocktail or a cheeky conversation on one of the best patio’s in town. Chorizo sliders, duck confit tacos and mini maple crème brulee are just some of the tasty delights to sample on the terrace. If you haven’t tried the Mac’s culinary treats before, this is a great opportunity to try a wide variety of their well-known cuisine. See our full menu post here. 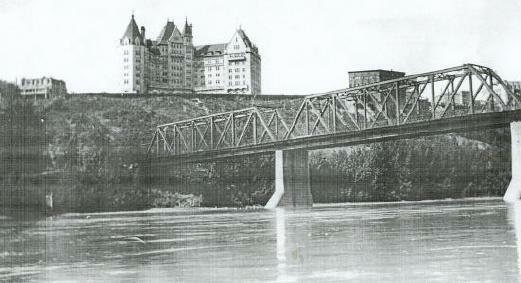 The Fairmont Hotel Macdonald is a prized architectural structures of our city, but was once at risk of demolition as recently as the 1980’s. Don’t miss this chance to join one of 3 tours happening throughout the afternoon and learn about a part of our heritage. For Smudge – and his friends at the Edmonton Humane Society. Proceeds from this community building event will support the amazing things this organization does. Check out our post here. This party is a chance to appreciate one of the most beautiful underutilized spaces in the core of our city. Whether musing to the classic harp strings or playing a round of croquet with your mates, the elegant nature of this event invites an afternoon filled with sunshine and smiles. Join us August 24th in your Sunday garden best from 2-5pm. Don’t forget to pick up your advanced tickets here, as there will be no tickets at the door. For media details, please review the press release: ImMACulate-Garden-Party-Engages-Community-Raises-Funds-August-24.pdf.